As a charity we provide non-clinical support; we aim to complement the work of Optometrists in the high street, Ophthalmologists in the Hospital Eye Unit and Rehabilitation Workers in the Local Authority Sensory Team. Our focus is on providing emotional support, information and advice, training and equipment to help people live with the impact of sight loss on their daily lives – and to know they’re not alone on their journey. Our approach has been guided by the principle of ‘doing the right thing’ for people with sight loss in this area. We are committed to ensuring that people with sight loss in Devon receive community sight loss services as good as anywhere in the UK and we are deeply committed to working in partnership with both local and national sight loss organisations to provide both the best quality and coverage of services across the county. At the heart of the organisation is our Community Support Service, which has evolved from a review of national research and best practice for people with sight loss. 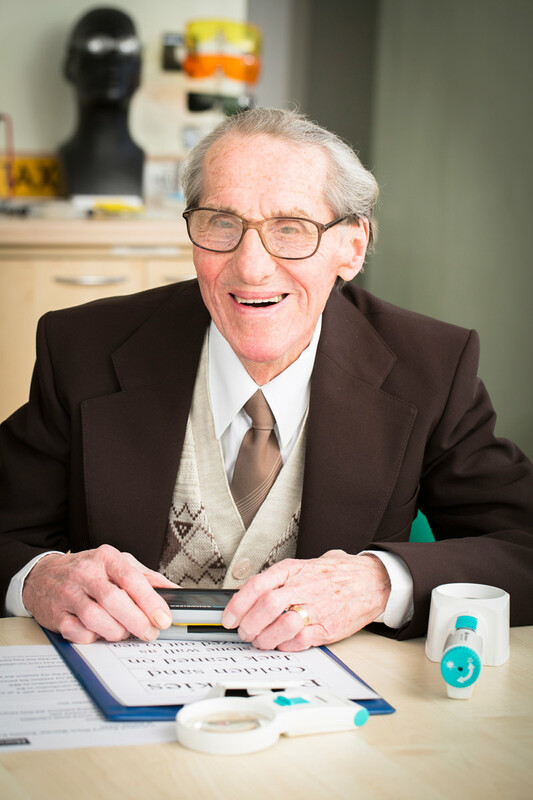 We have developed an innovative client needs assessment, the ‘Sight Loss MOT’, which identifies where support is available not only from Devon in Sight, but from partners across the sight loss sector to ensure people get the support they need. Many of the people with sight loss that we support have needs which are common to many other older or disabled people, such as isolation, difficulties accessing transport, financial hardship or having to give up hobbies and interests. Rather than trying to meet all these needs we focus on resolving issues that are distinctively about sight loss, and refer to other partner organisations that can deliver generic support. We focus on enabling people to do things for themselves; with the right training, equipment and perhaps time-limited support. Where support is needed we’ll try to develop local ‘circles of support’. Peer Talk and Support Groups play an important role, but we’ll also help people access mainstream community groups and help those groups become more confident to accommodate someone with sight loss.